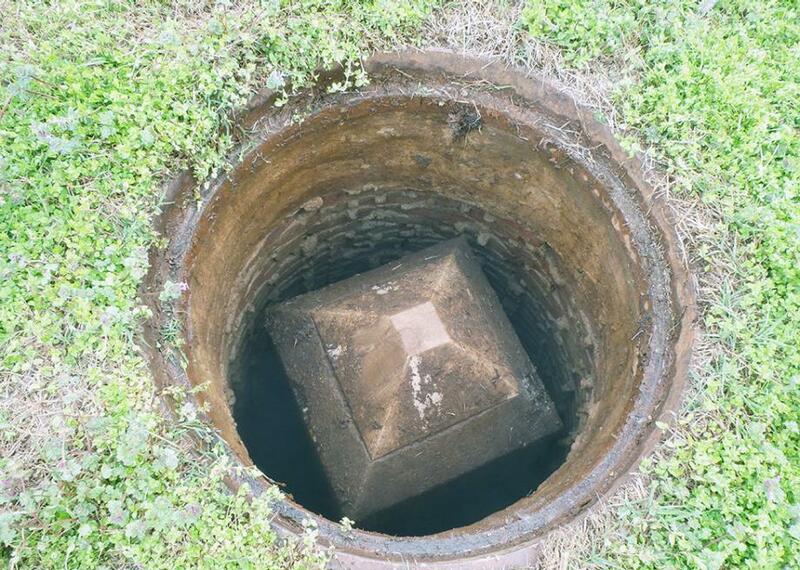 There's a 12-foot replica of the Washington Monument hidden under a manhole near the original. The top of the mini-monument. Unknown to most passersby, there’s a 12-foot-tall replica of the Washington Monument under a manhole near the actual monument. Officially known as “Bench Mark A,” this underground oddity is actually a Geodetic Control Point that’s used by surveyors. It’s part of the network of a million control points across the country that helps the National Geodetic Survey, or NGS, synchronize all of the government’s maps. Usually that means metal caps or rods that are driven down into the ground, but this quirky control point mirrors the form of its next-door neighbor. “All the surveys we’ve done, going back to the early 1900s, have used it,” says Smith. Most recently, it was used in the aftermath of the 2011 Washington earthquake. Measurements over the past century have shown that the Washington Monument has sunk 6.2 centimeters into the marshy soil below, at an average rate of 0.5 millimeters per year. The mini-monument was placed in the 1880s as a part of a trans-continental leveling program. The ground level here was much lower at that time, with large parts of the Washington Monument foundation still visible above ground. The mini-monument was above ground for a time, before being encased in a brick chimney and buried. Outside of surveying circles, it’s been largely forgotten. The survey marker is underneath a manhole, just south of the Washington Monument. Speak to a Park Ranger before trying to see it.